Freelance writer living in Mauritius, I love writing about exciting places to visit and taking photos of scenic views. Earth Day is commonly celebrated on the 22nd of April and is dedicated to the commitments for the care of our planet. With the rapid population growth and industrialisation, our planet is dying and to prevent this, we must encourage our kids to take care and protect our environment. Tom McMillan has rightly said :"For 200 years, we've been conquering the world. Now, we're beating it to death." •	Reduce the consumption of energy and water. 1. Walk or ride a bicycle instead of using a car for short-distanced destinations. 2. Turn off the computer, light or TV when not in use. 3. Do not waste water by shutting off the taps when not using. 4. Take fast showers instead of filling up the bathtub. 5. Let your kids help you in hanging your clothes on line instead of using a dryer or tell them to dry their hair in the sun instead of using the hair dryer. •	Recycle waste materials to maintain a clean environment. 1. Show your kids how to sort out the recyclables before putting them in bins. 2. 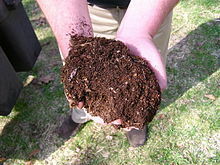 Let your kids help you in turning your own food scraps and garden waste into compost and use it in growing your garden. Help the children to plant their own tree. 1. Stir fry all the vegetables leftovers or turn them into creamy vegetable soups for dinner. 2. As much as possible, eat raw fruits and veggies. Show your kids how to recycle junks from your garage into useful items for everyday use. For an example,they can turn an old container into a beautiful vase or make a magazine holder from their old cereal boxes. Click here for more Earth Day craft activities. If you are looking for a perfect excuse to use all your leftovers at the end of the week, stir-fry is ideal for raw vegetables. •	Cut the veggies into strips along with a piece of garlic. •	Heat a tsp of oil in your wok and toss in all the vegetables. •	Stir-fry on high heat for a few minutes. •	Remove from heat and your stir-fry is ready. For cooked vegetables leftovers, a creamy medley will make your kids' mouth water. •	Wash the vegetables to remove spices from previous cooking. •	Mash them into a smooth paste and put aside. •	Heat 2 tsp of butter and toss in 1 medium-sized diced onion. •	Add 1 tbsp of flour and cook for a few minutes. •	Pour in 1 cup of milk little by little to make a smooth cream. •	Add grated cheese, salt and pepper. •	Add the mashed vegetables to the cheesy sauce. •	Stir and remove from heat. •	Garnish with thyme and parsley. For more recipes ideas, click here. Remember, to make real change, it is better to take small actions everyday rather than go completely green on Earth Day and forgetting about it afterwards. Why? To encourage our kids to be eco-friendly.